Sometimes your hair needs a little boost above and beyond what your diet provides. 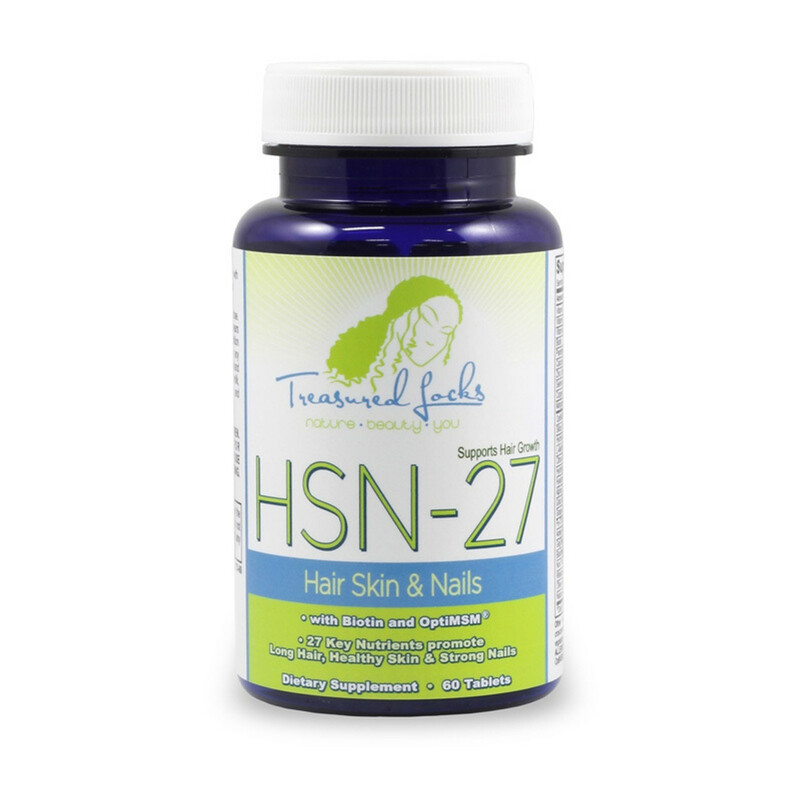 Treasured Locks offers nutritional supplements that promote health hair, skin, and nails. Studies have shown that the proper nutrition, along with plenty of water, exercise, and rest can improve the growth, appearance and strength of hair. In addition to collagen (protein), the building block of hair, your hair can benefit from nutrients that reduce inflammation and increase circulation. African American hair is especially vulnerable to breakage from poor care, too much heat, not enough moisture, etc. Give your hair the best chance it can get by providing it with the right nutrition. Specializing in black hair care, we have developed a line of supplements that can be taken alone or in combination to help your body create longer, stronger hair quickly. Taken on a regular basis, our supplements can help boost hair growth rates up to twice what you are getting now. They include no drugs and no hormones, just nutritional ingredients that your body craves.